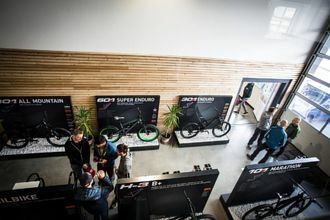 Test the latest models of the several times test winners right at the manufacturer's venue and thereby get to no the company as well as the trails of the Allgäu region. We have all current models in all sizes available in our outlet venue in Wiggensbach. 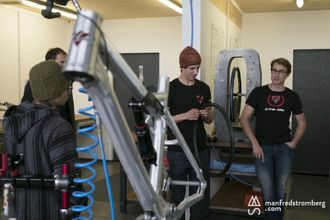 The bikes are adjusted to your needs individually and - this goes without saying - we will be there to answer anything that comes up to your mind. The registration will be open starting April 2019. We are looking forward to your visit! For the perfect setup adjustment, please make sure to be here 45 minutes in advance. One can not claim a reservation for several days in a row. Closed all day ??? : if you make a reservation of a bike for ?? ?, make sure to pick it up on ??? at 7 p.m. and return it on ??? by 8 a.m. If you make a reservation for ?? ?, the bike can not be picked up the night before. We ask you for your understanding that we can reserve bikes only until 10 a.m. The bike can be handed out to another person to test it hereafter.